Ask yourself, "What type of tower do I want to build?" or "What type of blog do I want to make?" For example, you can decide to build a stone tower or create a Christian lifestyle blog. Ask yourself, "How many storeys will the tower have?" or "How many niches will the blog cover?" For example, you can decide to build a stone tower with 10 storeys or create a Christian lifestyle blog with 3 niches - Christian faith, food and and social media. 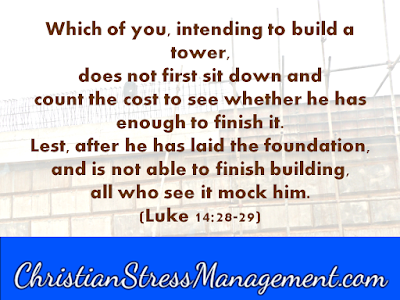 Ask yourself, "How much will I need to finish building the tower?" or "How much will I need to make the blog successful?" As you sit down to calculate the total cost needed to finish your project, know that you will need physical resources and emotional resources. Physical resources include the people who will work with you as well as the money you will pay them. Emotional resources include positive feelings about the project that you will need to motivate yourself to continue working until its completion. Therefore calculate the total amount of resources you will need to finish building your tower or making your blog successful. For example, you can calculate and conclude that you will need 10 million to build the tower or that you need 10,000 hours to make your Christian blog successful. 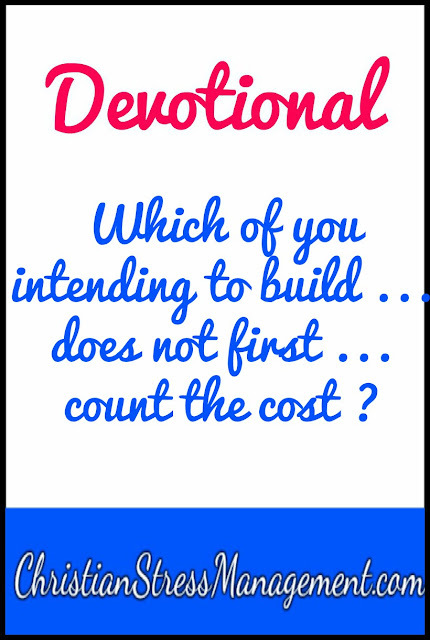 Ask yourself, "Can I afford to build this tower?" or Can I afford to create this blog?" 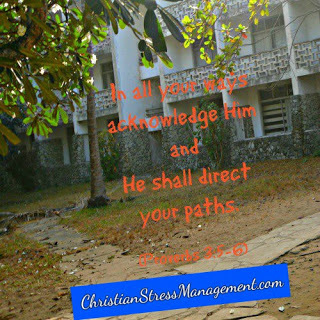 As you do this, ensure that you Acknowledge God and He shall direct your paths (Proverbs 3:4-6) and show you how to proceed with your project. For example, He might tell you to go ahead if you have all the resources at your disposal. If you are lacking some of the resources, He might open your eyes and reveal to you where you will source them from and this will help you move forward to step 5. God can also tell you to move back to step 2 and cut out some of the storeys from your tower or niches from your blog before you proceed with step 3. Heavenly Father I ask You in the name of Jesus to be with me from the beginning of this project until its end. Guide me as I make the decisions for all the steps of this project and protect me as I work on it. In Jesus' name I pray, Amen.